Hello Friends, I need to make this short and sweet as I am a tad behind on life these days! Over at Seize the Birthday our Topping this time is to do Inlay Die-cutting. I absolutely love this technique! 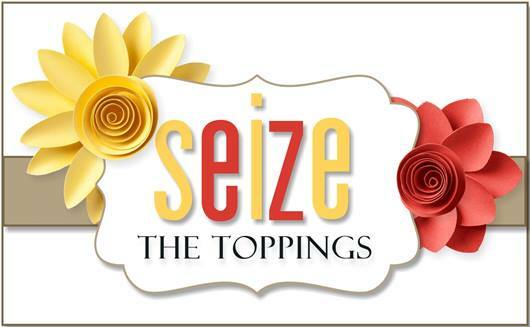 I hope you will come on over to STB and see what the team and our Surprise Party Guest has done! Before I go I need to thank Rahmat for being such a terrific guest these past few months! It’s been a pleasure having you with us and we hope to see you back in our gallery again soon. Beautiful card and love the inlaid heart. Love all of your fun hearts on this gorgeous card Nancy! the heart is very subtle, but definitely can see it, beautiful card, Nanc’!! Beautiful. Love the inlaid heart with the heart DSP. Very nice. I don’t think I’ve ever seen so many hearts in a card yet – hearts in the pattern paper, in the foreground, the background – wowzers! And you’ve still managed to keep it so sweet and simple! Wonderful card, Nancy! Love the hidden heart in the DP and the ones that you put on the front. Really nice Nancy. I love this challenge. Nancy your inlaid die cut s seamlessly perfect, I love the fact that you kept the BG and diecut same, I need to remember to do it next! A beautiful card. A big thank you for inviting me over STB as party guest! So pretty, Nancy! Love the stitched hearts, need some of those! Very sweet birthday card with lots of hearts :)! Love the soft background and that camouflaging inlaid heart! 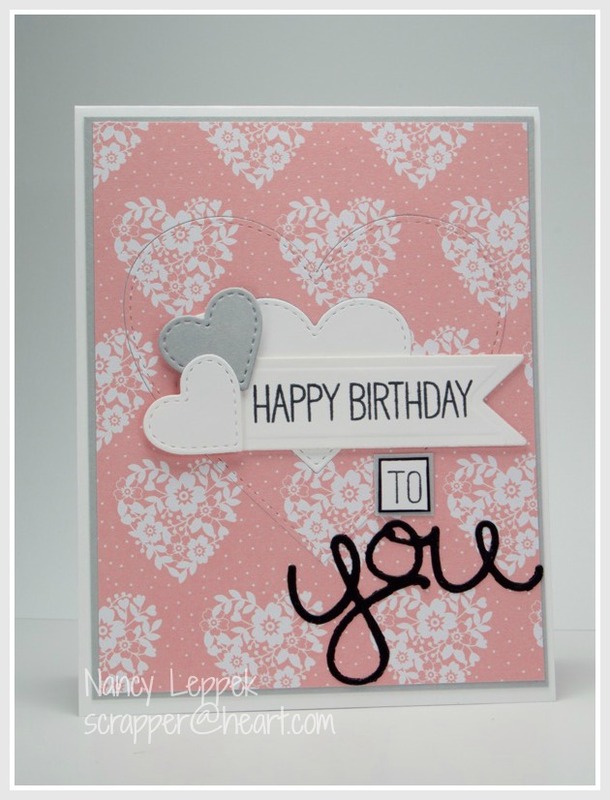 I love the in-laid heart and the pretty patterned paper….very sweet!